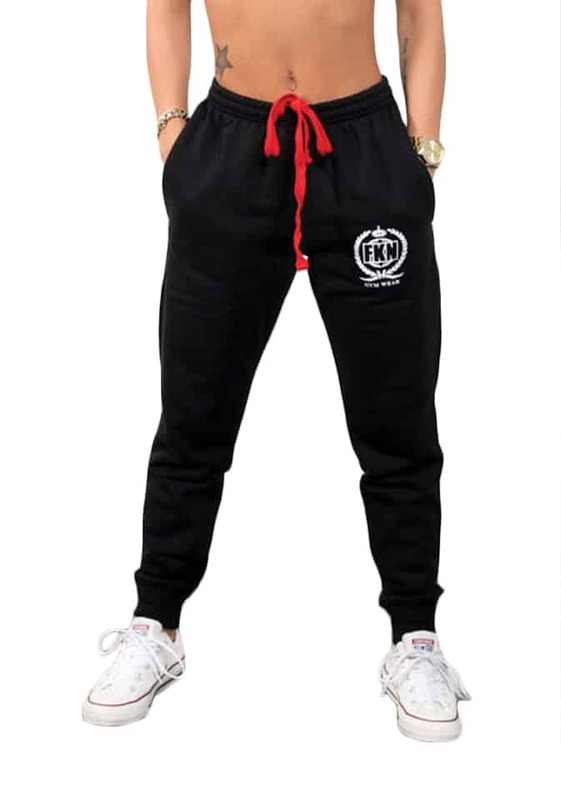 Introducing the new Bootyfit Track Pant Black Colour and super comfortable by FKN Gym Wear. When it’s time to feel comfortable AF, it’s time to pull on a pair of trackies. 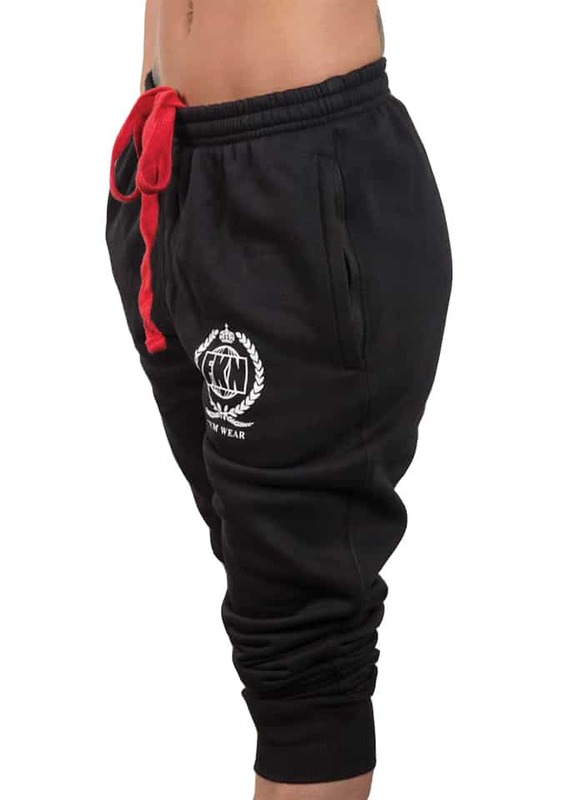 Tapered leg Bootyfit pant with a light fleece lining. Our Bootyfit Track Pant is possibly the most comfortable booty hugging pants you’ll ever wear. 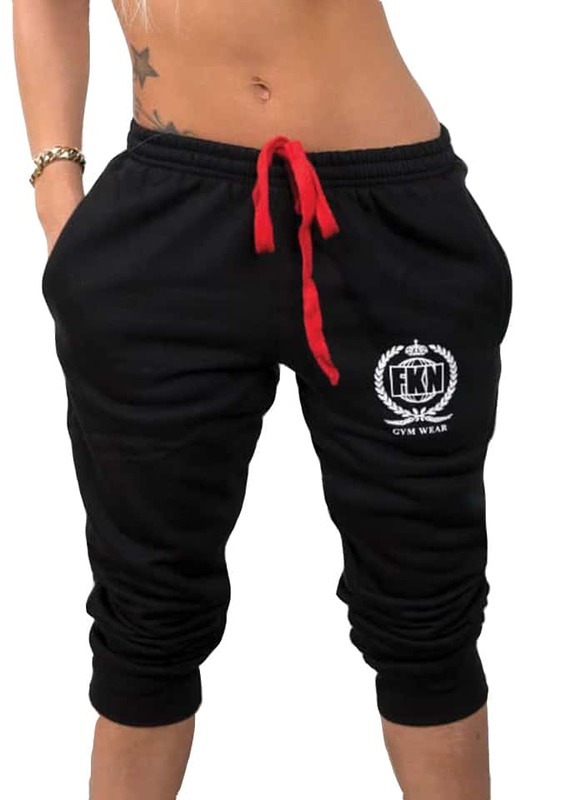 They feature our classic FKN Gym Wear Wreath design, elastic ankle cuff (so you can wear them as full length or 3/4), zippered pockets and elastic waistband with oversized red shoelace drawstring. If you are looking for a seriously comfy pair of track pants that look stylish, then grab a pair of these today. In fact, grab a couple of pairs.